A Florida woman was arrested on Monday after attempting to carry out one of the most interesting robberies we've ever seen. 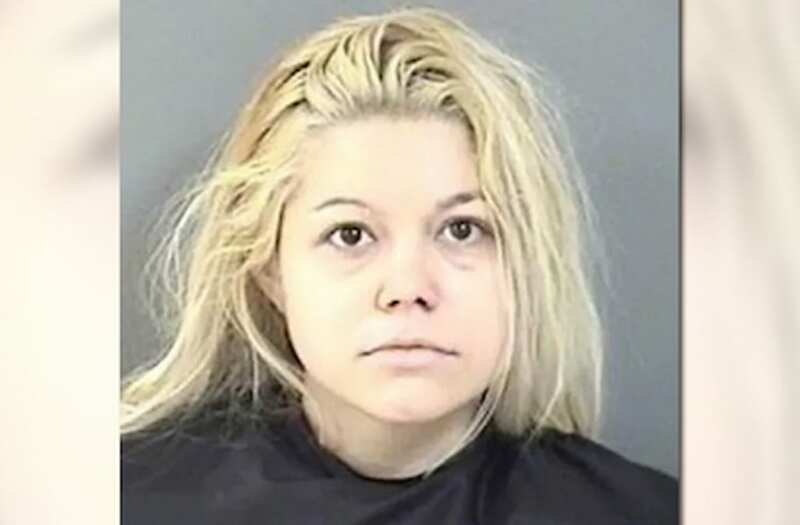 Cheyenne Amber West, a 25-year-old mother from Fort Pierce, was charged with felony grand theft and felony shoplifting after said she rang up $1,824 worth of electronics for just $3.70 at a Walmart self-checkout, according to the TC Palm. The suspect and her mom, Alicia West, allegedly picked up several high-priced items from the store's electronics department, including video games and a laptop, and covered up the barcodes with stickers of merchandise from the store's clearance department. A suspect is shown in this still photo taken from surveillance video March 26, 2017 in Fort Collins, Colorado, U.S., and provided March 27, 2017. Police are seeking information regarding vandalism to the Fort Collins Islamic Center after a suspect described by police as in his late teens or early 20's who overturned benches, broke windows and threw a bibical text into the building. Courtesy Fort Collins Police Services/Handout via REUTERS ATTENTION EDITORS - THIS IMAGE WAS PROVIDED BY A THIRD PARTY. EDITORIAL USE ONLY. Mexican teenager Cruz Velazquez Acevedo drinks from a bottle containing liquid methamphetamine at a U.S. border control point in San Ysidro, California, U.S. in a still image from surveillance video recorded November 18, 2013. U.S. Customs and Border Protection/Handout via REUTERS ATTENTION EDITORS - THIS IMAGE WAS PROVIDED BY A THIRD PARTY. An unidentified individual is seen in this image from surveillance video, as thieves broke into a jewelry wholesaler and made off with $6 million in valuables on New Year's Eve, in New York, U.S., January 3, 2017. Courtesy of New York City Police Department/Handout via REUTERS ATTENTION EDITORS - THIS IMAGE WAS PROVIDED BY A THIRD PARTY. EDITORIAL USE ONLY. A frame grab from a surveillance video released by the New York Civil Liberties Union shows 49-year-old Esmin Green falling to the floor from a hospital waiting room chair at Kings County Hospital Center in Brooklyn, New York, June 19, 2008. Green died after lying on the floor for more than an hour unassisted by bystanders or hospital security guards, nurses or doctors. At that point Green had been waiting in the emergency room almost 24 hours for treatment. Video taken June 19, 2008. REUTERS/NYCLU/Handout (UNITED STATES) FACES PIXELATED FROM SOURCE. FOR EDITORIAL USE ONLY. NOT FOR SALE FOR MARKETING OR ADVERTISING CAMPAIGNS. Denmark's Stein Bagger, the fugitive chief executive of "IT Factory" is seen arriving at the Los Angeles Police Department's Central Division's lobby on "Skid Row" in downtown Los Angeles to surrender to police officers in this frame grab taken from video surveillance taken on December 6, 2008. The video was made available to Reuters on December 8, 2008. Bagger was wanted by Interpol on charges of counterfeiting, fraud and forgery, local media reported. REUTERS/Los Angeles Police Department Central Divsion/Handout (UNITED STATES) QUALITY FROM SOURCE. FOR EDITORIAL USE ONLY. NOT FOR SALE FOR MARKETING OR ADVERTISING CAMPAIGNS. A loss prevention officer at Walmart took notice of the pair and stopped them before they could make off with the "discounted" goods. "I am just trying to get gifts for my son that I cannot afford," West told a responding deputy. "The computer is for my husband. Since he just got me a Coach purse, I figured he deserved something nice, as well." West is currently being held at the Indian River County Jail in Florida on a $3,000 bond.